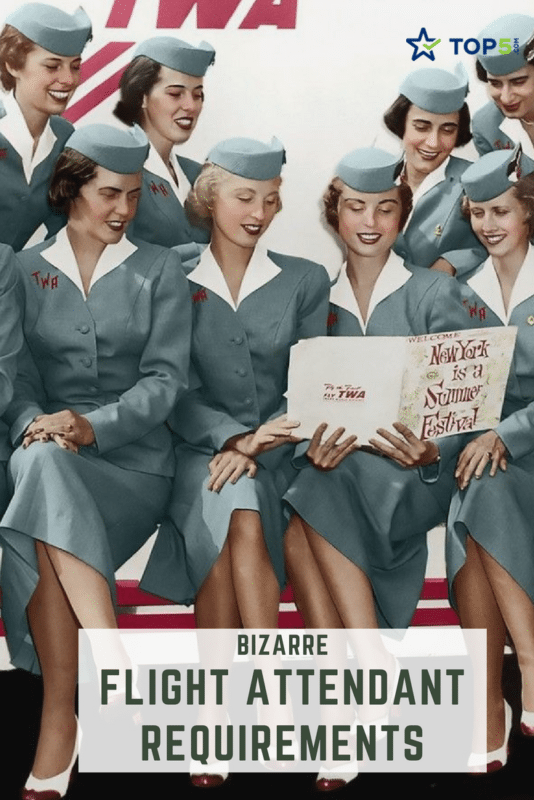 Thankfully, times have changed, although there are still some bizarre rules for flight attendants across the various airlines. 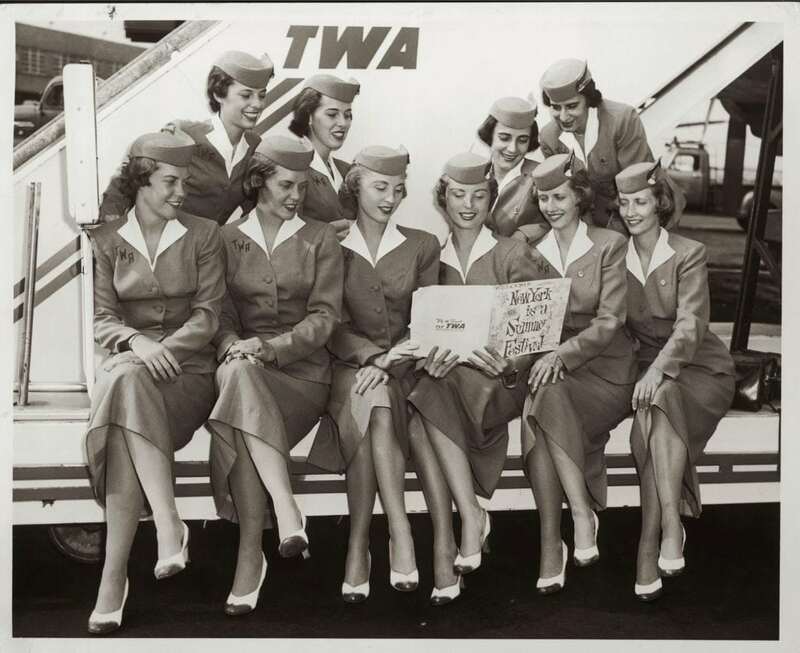 While airline regulations have changed significantly since the 1930s, when flight attendants had regular weigh-ins and were required to weigh less than 118 pounds, weight is still a consideration for flight attendants, and body mass index (BMI) standards exist. Czech Airlines requires its flight attendants to have a BMI between 19 and 24.9. Malaysia Airlines also monitors the BMIs of its cabin crew and requires twice-yearly weigh-ins. Those who fail are told to lose weight and tested monthly to track progress. If flight attendants are unable to shed the excess weight within a “proper timeframe,” they are placed on leave. Flight attendants have a lot of recommendations for what to bring on flights, but if they work for AllegiantAir, they’ll recommend lipstick as well. While most airlines require good hygiene and a presentable appearance, Allegiant Air takes it a step further and requires its female flight attendants to wear lipstick or gloss. We’re not certain what “complement the facial features” means. We wonder if any of these lip art trends would fly? Like most airlines, American Airlines isn’t a fan of body hair or colored hair. American Airlines requires nostril, ear, and underarm hair to be groomed and/or removed prior to flight attendants working a shift. Wantto embracee the trend of armpit hair? Find another employer. 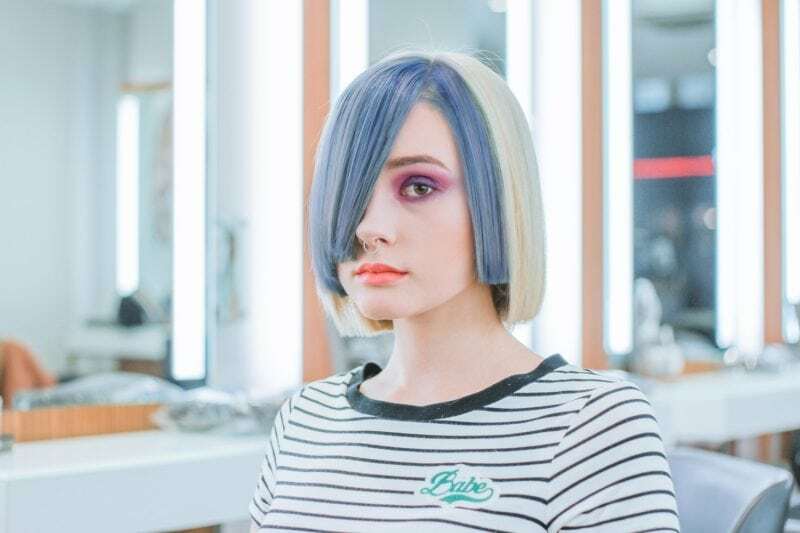 Many airlines also have regulations regarding hair color and forbid crew members to don bright or unnatural-looking locks. 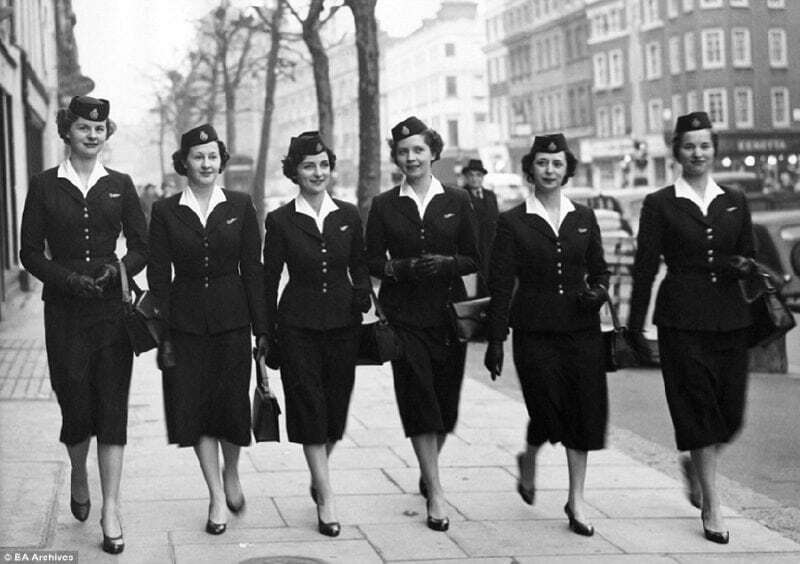 Etihad Airlines’s flight attendant requirements require a long wingspan, and we’re not talking about the plane. This makes sense, as flight attendants must be able to help passengers with their bags. If you’re a flight attendant with Hong Kong Airlines, you have to learn kung fu. Kung fu aids flight attendants in dealing with unruly passengers, which explains why this is one of Hong Kong Airlines’s flight attendant requirements. Looking to get married or pregnant anytime soon? Don’t apply for Jet Airways. One of Jet Airways’s flight attendant requirements states that new, inexperienced, lower-level flight attendants must be unwed in order to be hired. Once hired, these newbies are still forbidden to marry, and are only allowed to tie the knot once they are categorized as “experienced” flight attendants. Qatar Airways had a similar rule until recently that was even more restrictive: The airline would fire flight attendants if they got married or pregnant within the first five years of employment. Thought the rules were changed, flightattendants shouldn’t elope if they want to keep their jobs… They’re required to inform Qatar of their intention to marry prior to doing so, and if they become pregnant, will be offered temporary ground jobs until they’re able to fly again. In addition to BMI requirements, flight attendants must be physically fit and strong. This is a requirement of all airlines, and one that makes sense (unlike the lipstick rule). WestJet requires its flight attendants to “successfully pass a functional assessment” test before being hired. The test requiresprospective flight attendants to lift 50 lbs from the ground to waist level, and 22 lbs overhead. Similar to arm length, this comes in handy when passengers are unable to lift their own bags, as well as in case of emergency. Many airlines require their flight attendants to not only know how to swim but to be strong swimmers. This way they can aid passengers in case of a water emergency. Different airlines have different regulations. Ryan Air requires its flight attendants to swim at least 65 feet. EasyJet requires its flight attendants to swim a bit farther and tread water for at least 60 seconds. Ethiad is a bit more laidback and simply requires its flight attendants to be able to swim with the help of flotation devices. However, if you don’t know how to swim at all, don’t even consider applying for a position as a flight attendant. In addition to having a healthy BMI, flight attendants are required to be physically and mentally healthy. Air New Zealand requires candidates to complete a medical examination in order to be considered for hire. Czech Airlines requires candidates to undergo psychological testing at the Institute of Aviation Medicine before being hired. Etihad is a bit more lax; it requires medical and health screenings after hiring. However, if new employees fail either, they will be placed on leave and are subject to firing, depending on the circumstances. In addition to physical and psychological tests, some airlines set up SWAT team-like tests that potential flight attendants must pass. TAM Airlines creates a “worst case scenario” test: It builds a maze in a dark building, fills it with smoke and requires candidates to successfully navigate to the exit. TAM flight attendants must also pass jungle survival skills courses so they’re prepared should the plane go down in the jungle. We’d want to be on a TAM flight if worst came to worst, especially after learning about these 5 Craziest Tales of Plane Crash Survival. Smoking onboard aircrafts was outlawed in the early 1980s, but what many don’t know is that the airlines took it a step further and banned employees from smoking. This makes sense, both from a hygiene and mental health perspective. There’s nothing worse for a nonsmoker than sitting next to a passenger reeking of smoke. 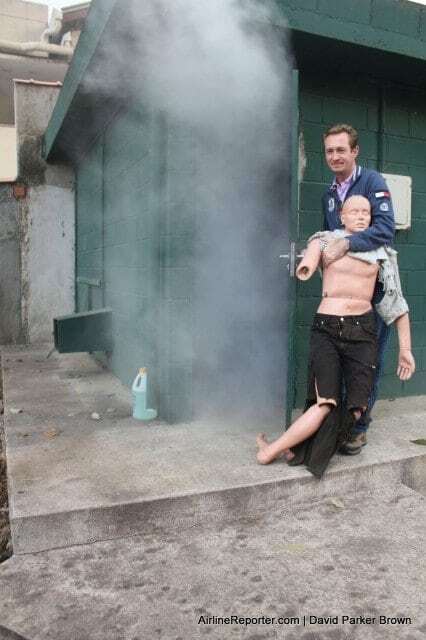 This applies to staff as well—do you want someone reeking of smoke working with you? 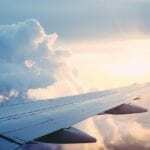 Additionally, if the flight attendant was addicted to nicotine and unable to get a fix on a cross-country trip, their mental clarity could be affected. They could also become irritable and lessthan friendly while dealing with passengers. Any flight attendants out there? What’s are the more bizarre flight attendant requirements for your airline?